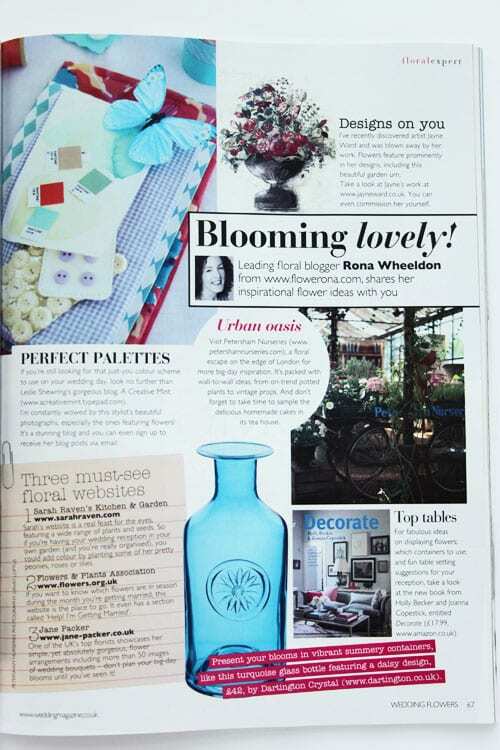 Flowerona's new column in Wedding Flowers magazine! Flowerona’s new column in Wedding Flowers magazine! I’m absolutely delighted to announce that I now have a column in the UK magazine, ‘Wedding Flowers’! And today’s post features my page above and the front cover too. Having been an avid reader of the magazine since I started learning floristry back in 2004, I can’t quite believe that I’m now writing for the publication…and my first article appears in their July/August issue which is on sale now. 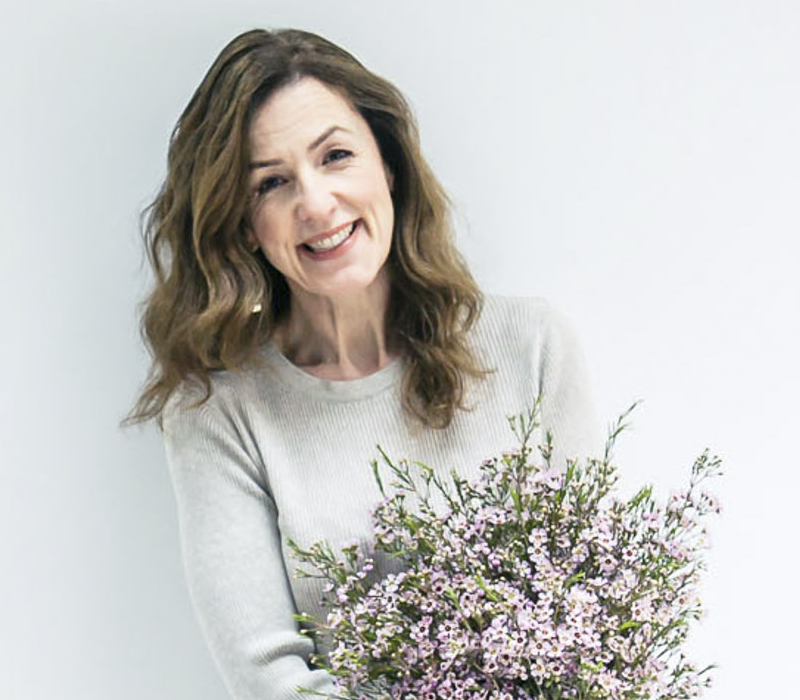 Well, a few months ago, the editor, Catherine Westwood, contacted me and asked me whether I’d like a regular page to showcase all my floral finds. It’s been quite a challenge for me to keep quiet about it…but now I’m SO happy to be able to share my news with you! I’d like to say a very big thank you to Catherine for her lovely introduction to my column in her editor’s piece at the start of the magazine and also thank sub-editor Kerry Boullemier. Royal Wedding Flowers – Catherine Westwood reveals the ideas behind Kate & William’s wedding blooms. Flowergirl Flowers – Wedding bloggers, Charlotte and Rebecca from http://www.rockmywedding.co.uk/ showcase floral inspiration for bridesmaids. 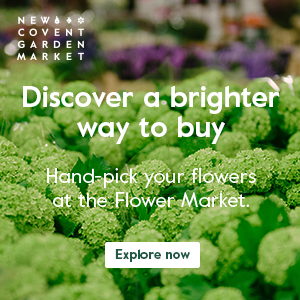 Notebook – The UK’s top florists showcase a stunning selection of bouquets and tablecentres in white, pink, red, purple and mixed colour schemes. 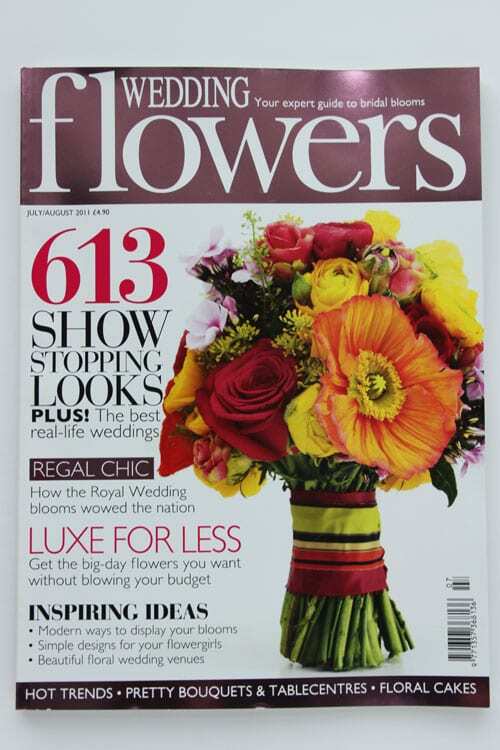 So, if you’re getting married this year or are a florist looking for inspiration, why not pop into your local newsagent today and pick up a copy of ‘Wedding Flowers’ magazine? It’s the only publication in the UK totally dedicated to wedding flowers. And if you’re new to my blog and would like to receive my posts via email, simply click here and enter you email address. Finally, I’d like to thank all the wonderful contributors who I’ve featured for their time and assistance in providing the images for the column. Wishing you all a lovely weekend…and see you on Monday. Huge congratulations Rona, it looks fabulous! Wow, wow, wow! Congratulations you! Thank you so much Fiona…and for all your support and encouragement :-). Congratulations Rona, you must be delighted! Thank you Lisa for your lovely comment! Wow, absolutely fantastic news. You’ll be a perfect addition to Wedding Flowers. Congratulations, Rona! Well done!!! I knew you could make it! !